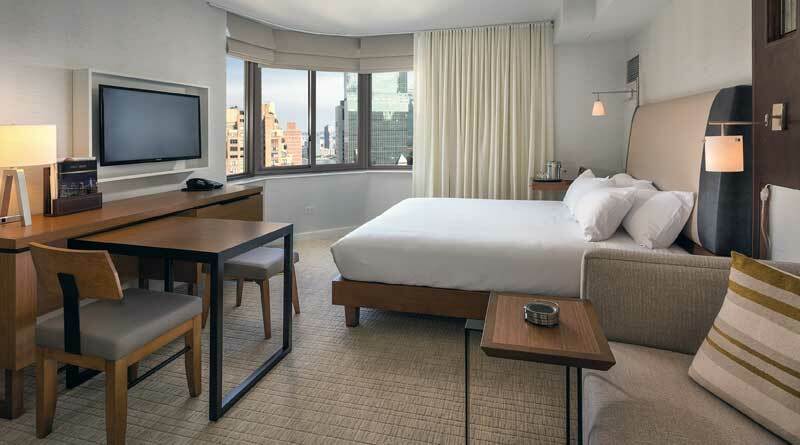 Positioned in the heart of vibrant midtown Manhattan, Club Wyndham Midtown 45 boasts boutique-style elegance just steps away from everything this world-renowned city has to offer. The resort is centrally located within walking distance of Grand Central Station, the midtown Manhattan business district, Madison Avenue, Park Avenue restaurants and Fifth Avenue shopping. Guests can enjoy incomparable views of the Chrysler Building and midtown Manhattan from the rooftop lounge. Blending rustic charm with the elegance of contemporary Mexico, The Penthouses at Sirena del Mar by Welk Resorts in Cabo San Lucas is perched on the cliffs of the Baja peninsula with a view of the Sea of Cortez and the iconic El Arco rock formation at Lands’ End. With twelve, two-bedroom penthouse villas available for exchange, The Registry Collection members will enjoy luxurious amenities across the 7-acre resort including two infinity-edge pools overlooking the Sea of Cortez, a private cove beach, a full-service onsite spa, the La Palapa swim-up bar and more. Estrella Restaurant, serving Baja-Mediterranean cuisine, is the crown jewel of this resort. Known for its stunning contemporary Mexican décor, it features a wood-fired oven, a wine vault, and a private dining room. Anderson, global vice president of The Registry Collection program. The Registry Collection® program is the world’s largest luxury vacation ownership exchange program, with more than 240 affiliated properties that are either accessible for exchange or under development. From condo hotels and high-end fractional resorts to private residence clubs and fractional yachts, The Registry Collection program provides members with access to an elite network of the finest vacation properties at some of the world’s premier destinations, as well as travel concierge services catering to their every travel need. The Registry Collection program is offered by RCI, the worldwide leader in vacation exchange and part of Wyndham Destinations (NYSE: WYND). For additional information visit our media center or TheRegistryCollection.com. You can also find The Registry Collection on Facebook and Instagram.